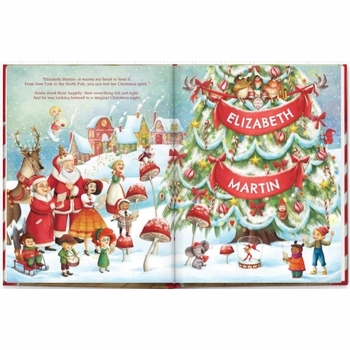 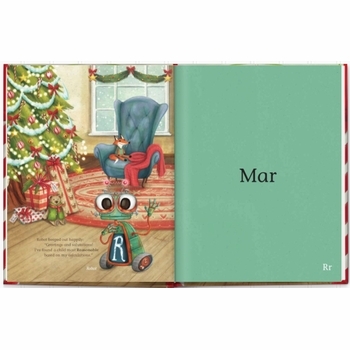 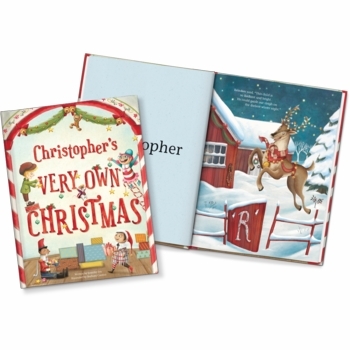 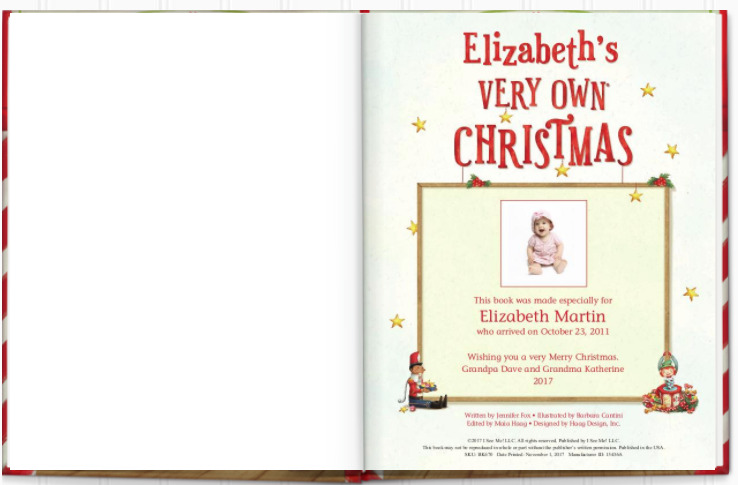 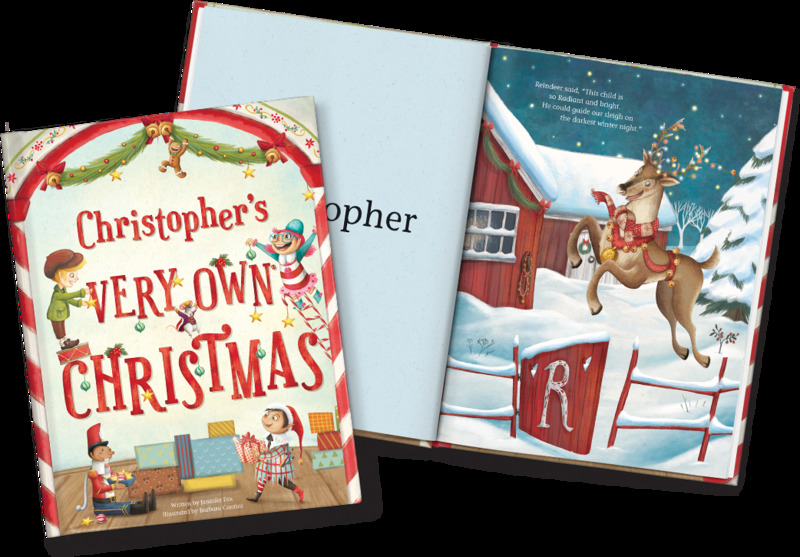 This is our favorite new personalized Christmas storybook, each page overflowing with Christmas spirit. 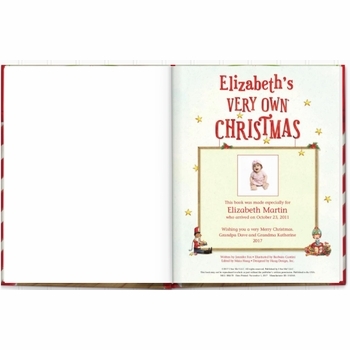 Bring this special customized book out on Christmas eve to share with those you love. 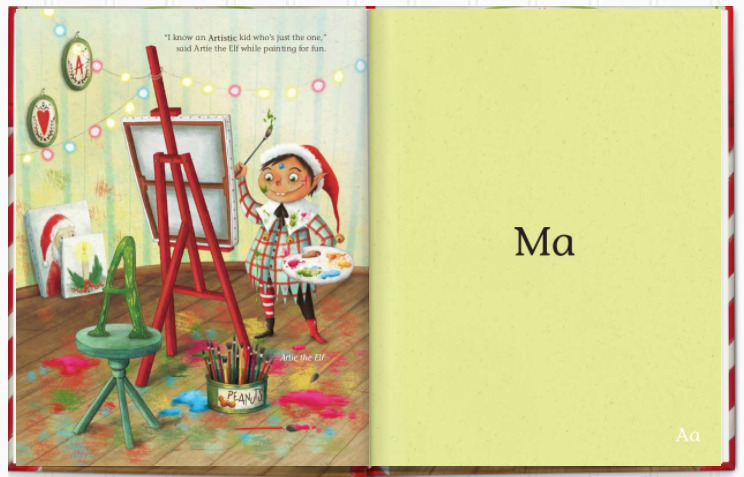 Children will delight in these colorful images and seeing their name throughout the pages. 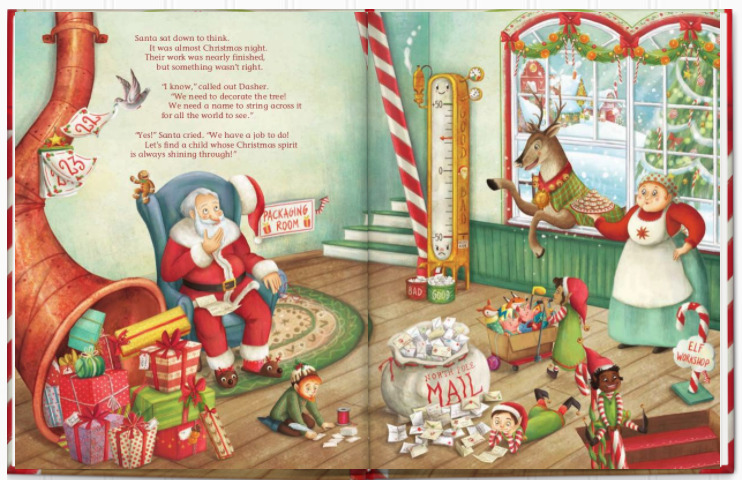 It�s almost Christmas night and Santa has asked all your favorite Christmas characters (and a few new ones, too!) 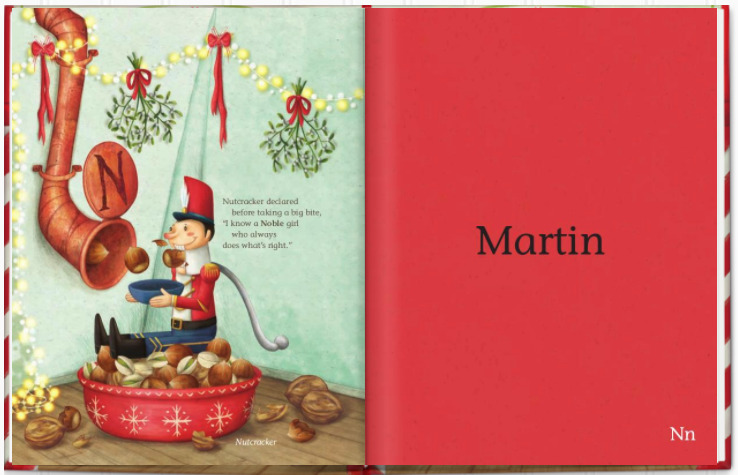 to find a child whose spirit of Christmas shines so bright. 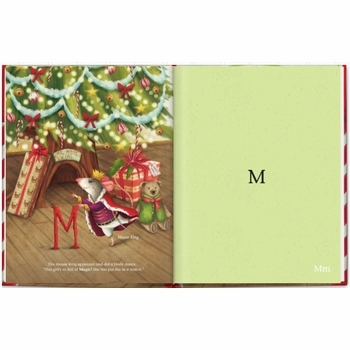 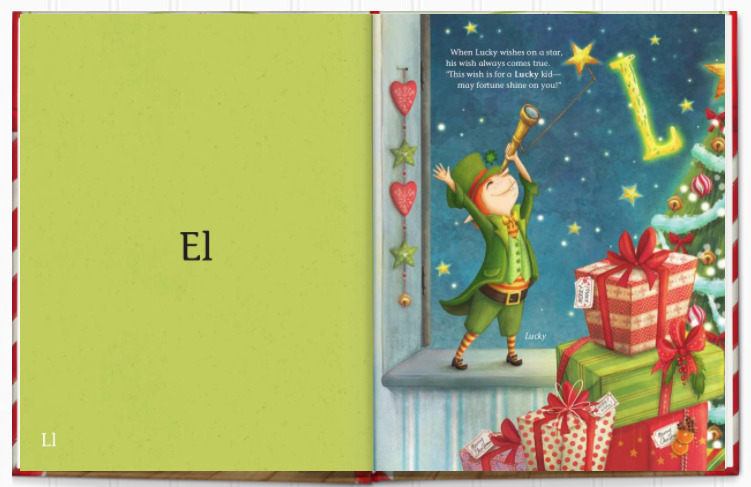 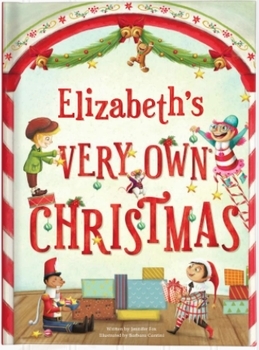 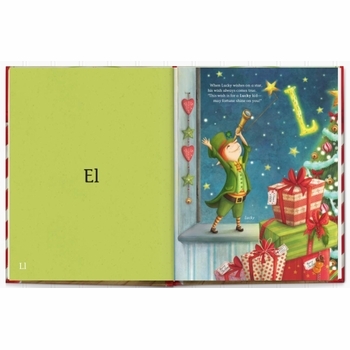 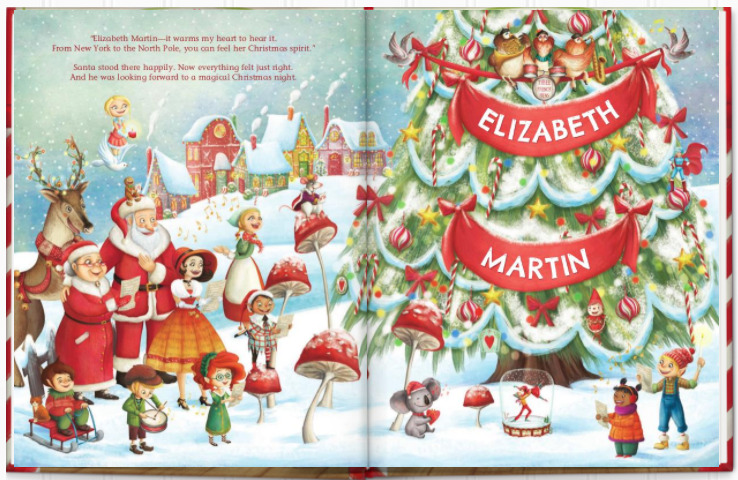 In this beautifully illustrated personalized storybook, each character will bring the letters of your child�s name to hang upon the magical Christmas tree�lighting it up for all to see. 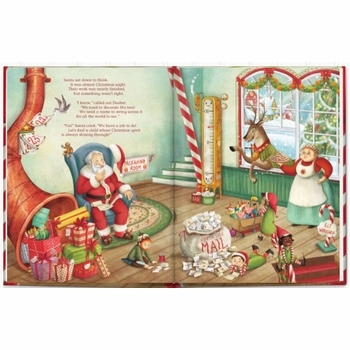 Families can also customize Santa's skin tone in light, medium or dark. 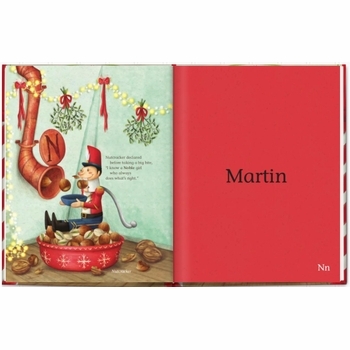 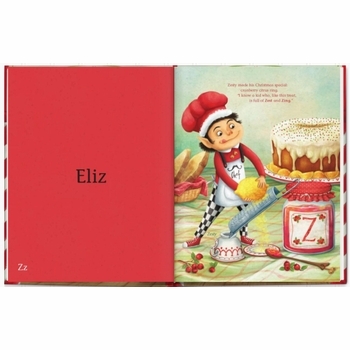 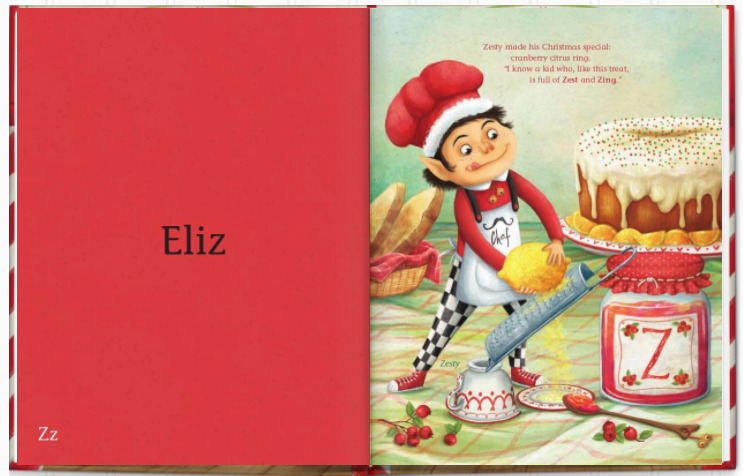 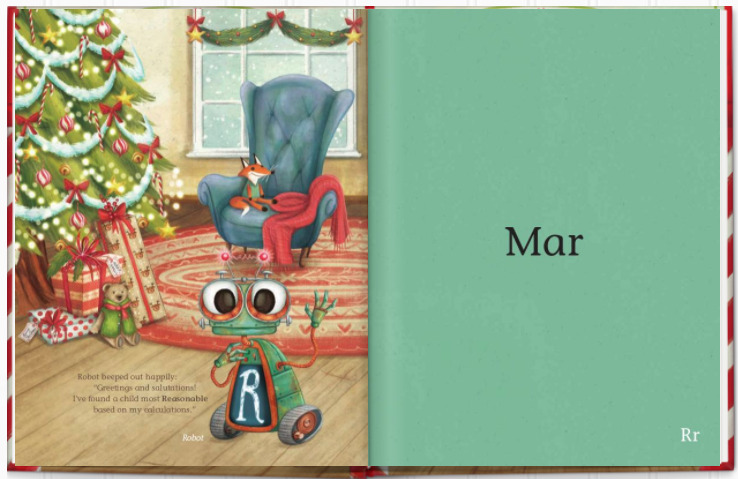 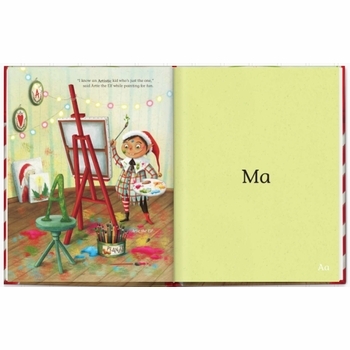 The book also includes a glossary of all the characters in Santa�s workshop. 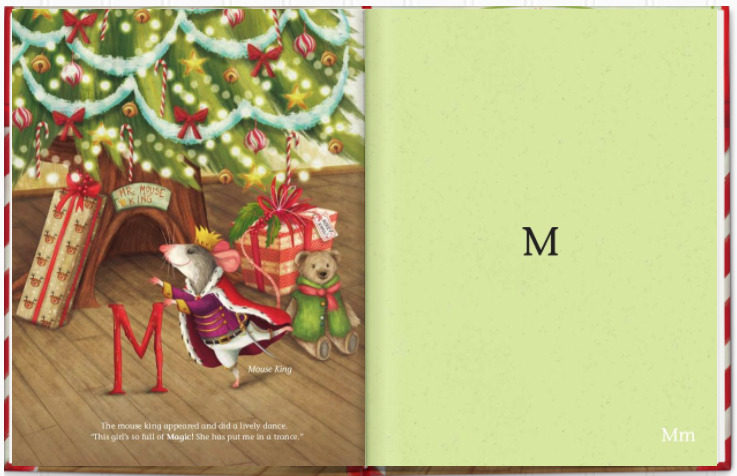 For each letter brought to the Christmas tree, Santa�s friends herald your child�s special qualities: A for Artistic, B for Brave, C for Charm, D for Dependable, and so on.